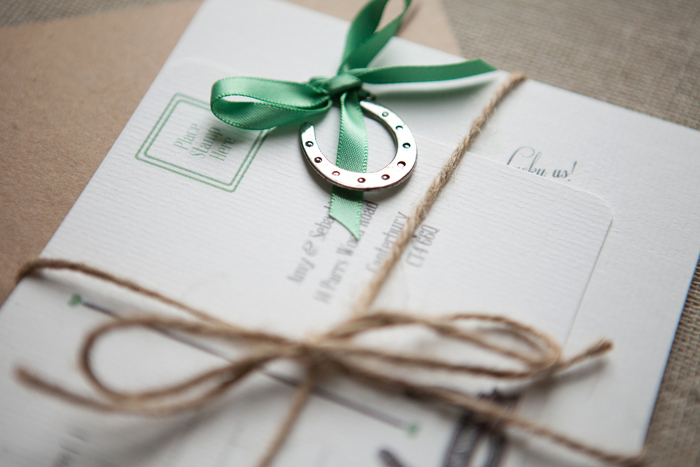 When you order your personalised invites, you’ll also receive a selection of cute pewter horseshoe charms and a spool of green ribbon, so you can spend a fun evening with your H2B or bridesmaids putting them together. Our one essential DIY wedding tool – a bottle of Prosecco – isn’t included in the kit, but these are a great way to give your invites a personal touch without having to go on a full-on crafting mission. 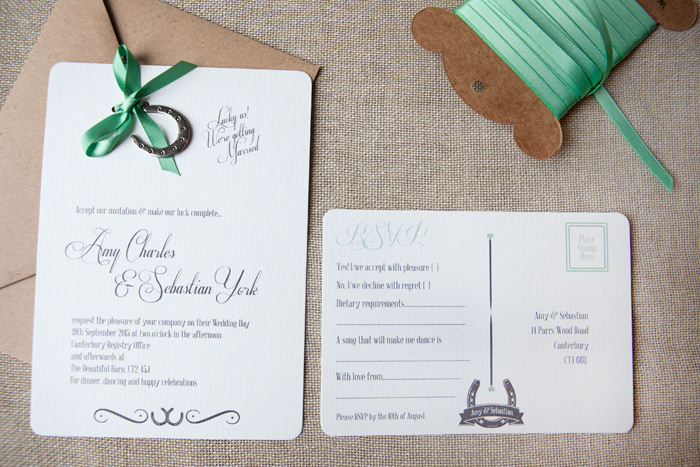 Pick up some jute twine to tie all the elements together, too – it’s a nice touch if you have a rustic wedding theme. Invites cost £2.80 each if you’re ordering between 50 and 75, and are printed on beautiful textured card and personalised with all your wedding details. 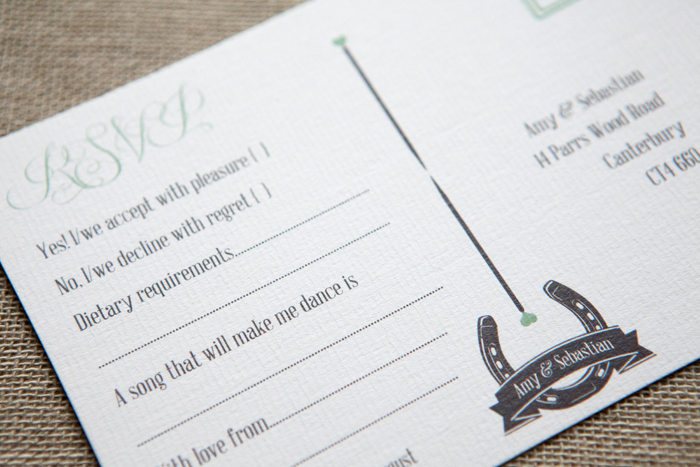 RSVP cards and info sheets cost £1.40 each when ordered in the same quantity. To see the full range and pricing details, visit www.weddinginateacup.co.uk.